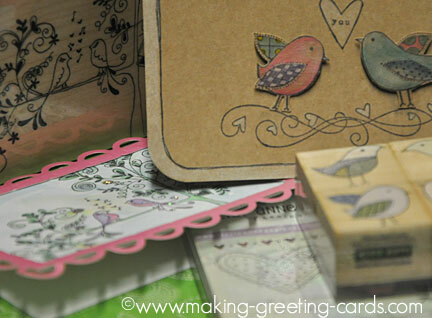 Lovebirds greeting cards are ideal for Valentines cards or just a note to say 'I Love You'. These love birds are so lovable that I'm sure they are a joy to receive. 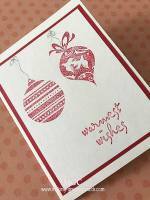 Get inspiration from these handmade cards below. Use any images of birds, color them with watercolors, markers or colored pencils. 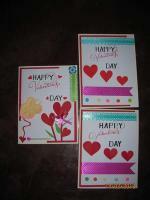 Cut out the images and decorate your cards with them. Make them as personal as you want them to be. There are altogether four of these love birds cards made but I will put two of them here and the other two in another site page. 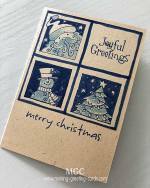 Score and fold kraft card at 10.5cm to make a basic landscape greeting card. Ink decorative bird stamps with tuxedo black ink and stamp image on scrap kraft card. Color images of birds with colored pencils. Trim colored images of birds with scissors. 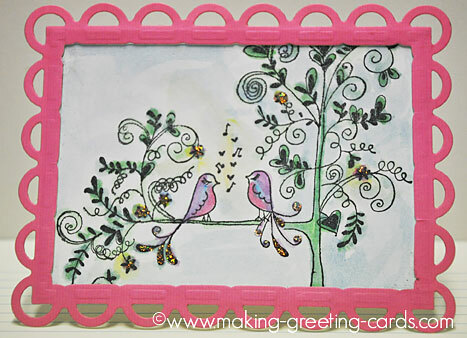 Use glue as well as double-sided foam tape to stick birds to stand on top of stamped flourishes. 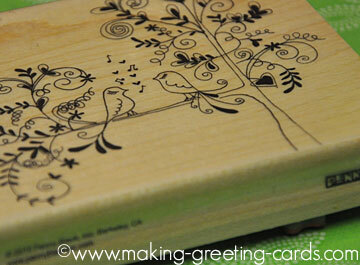 Ink heart stamp with tuxedo black ink and stamp centre and of birds with bottom of heart just level with birds' beats. Color all hearts with white colored pencil. 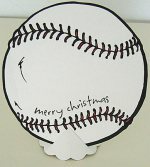 Punch out bottom corners of card with corner rounders. Use black fine marker to draw border 0.5 cm away from edge of card. Color border with white colored pencil. Score and fold white card at 8.5cm to make a basic card. Cut and emboss pink color card with the Classic Frame die on the CutterBug machine. Ink love song stamp with tuxedo black ink and stamp image on white card. Paint stamped image with watercolors.. Glue card with colored image onto the front of the white folded card. Glue pink color classic frame onto the image card. Apply glitter glue to tails of birds as well as flowers. That's it! 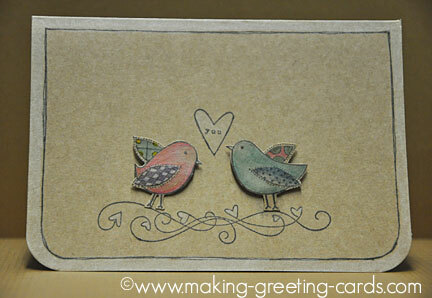 Two easy to make lovebirds greeting cards. 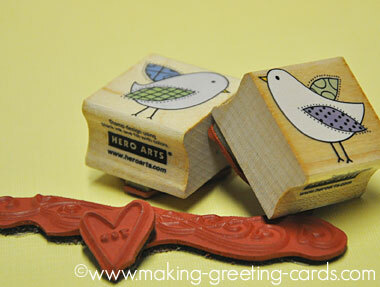 Oriental love birds on cherry blossom tree and jazzy love bird cards.